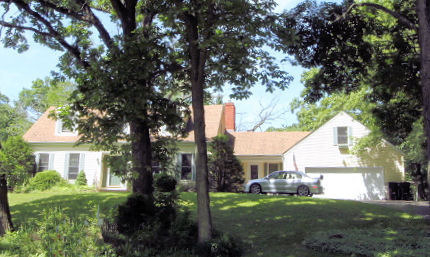 Single Family Home Great Cape Cod on a beautiful lot. Huge rooms almost everywhere. Home is basically in good shape, but needs carpet and sprucing up. Huge bonus bedroom over garage. Full bath on first floor. Unfinished basement gives you tons of storage or space for your new rec room. Nice deck overlooks beautiful yard.